A lot of times we think of smoothies as a summertime treat that tastes great and keeps us cool. But, did you know that you can enjoy a delicious fruit smoothie any time of year? After all, it’s never a bad time for a healthy dose of fruits and vegetables. As a matter of fact, winter is the best time to make sure you are getting those healthy nutrients as they are great for keeping your body strong against the harsh weather. 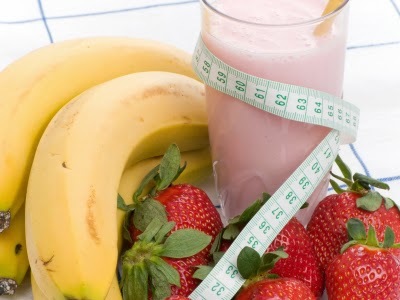 Five minutes is all it takes to whip up an easy and healthy strawberry banana smoothie. Throw some strawberries into a blener, add milk and use frozen bananas to make it thicker. For a little extra flavor, toss in another healthy ingredient – mint. So you’re not lying on the white sand of your favorite beach, but isn’t that all the more reason to enjoy a tropical smoothie with some mango? You’ll almost be able to smell the ocean. Add a dash of honey to your Aloha Mango Smoothie and you have the perfect tropical winter treat! A healthy green smoothie is always a great option as well. The way we like to make them is with an orange (peeled, of course), a banana (again, peeled), strawberries, yogurt, ice and, of course, spinach. These healthy smoothie recipes are the perfect way for you to get a quick dose of vitamins and minerals in the morning or around lunch. Don’t let the cold discourage you from enjoying a tasty cold drink that provides energy and vitality when you need it most. A few minutes a day is all it takes to whip up a healthy treat. You’ve heard from us; now, what are your favorite smoothie recipes?